Established in 1915, the Ohio Health Association (OHA) is the nation’s first state-level hospital association.OHA exists to collaborate with member hospitals and health systems to ensure a healthy Ohio. 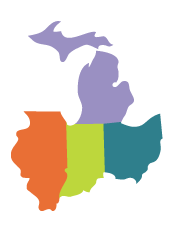 OHA currently represents 219 hospitals and 13 health systems throughout Ohio. The association is governed by a 20-member Board of Trustees with representation from small and large hospitals, teaching facilities and health care systems with a committee and task force structure. OHA speaks with one unified voice for all Ohio hospitals and health systems and leads the effort in developing a high quality, sustainable system by focusing on: Advocacy, Patient Safety & Quality, and Economic Sustainability.